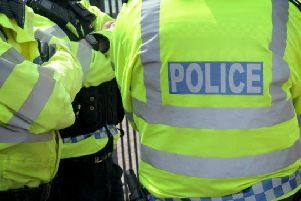 A laptop was stolen after burglars broke into a Kenilworth home over the weekend. Between 11.30am and 7.30pm on Saturday November 24, offenders broken into a property in Malthouse Lane through a rear bedroom window. Once inside the burglars carried out an untidy search and stole a laptop. It has not been confirmed if other items were taken. Anyone with any information about this burglary should call Warwickshire Police on 101, quoting incident number 345 of November 24.